Airmail allows you to respond quickly as possible, Airmail has a feature called “Quick Reply” When you . button Quick Reply or just press the shortcut key &apos;Q&apos;. 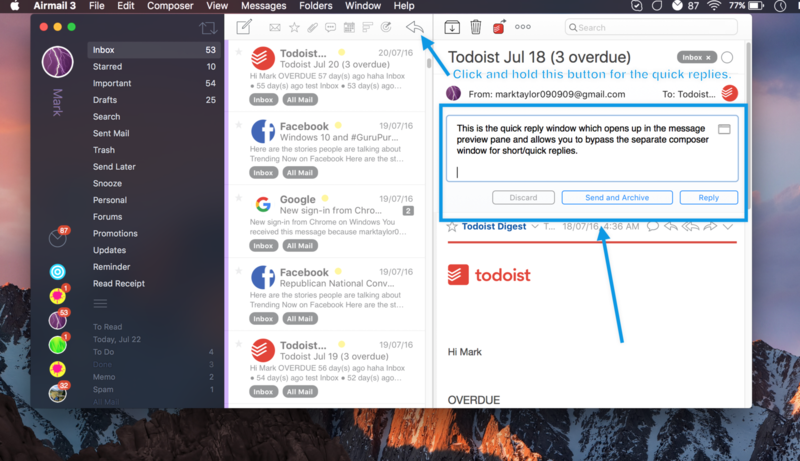 Please also see - How to make ‘Quick Reply’ the default behaviour in Airmail?